I generally agree with and like the official website of the British monarchy, but like all official histories, it focuses too heavily on information and arguments favourable to the reputation of its source at the expense of other interpretations and viewpoints. I strongly disagree with some parts of the description of George III, particularly on the loss of the American colonies and this typical Tory characterization of the parliamentary Whigs of the 18th century. This is true. However, we must take into consideration that at the time, the franchise applied only to white propertied Protestant men and that parliament did not necessarily represent a broad cross-section of public opinion toward the American colonies or the war. The Tories, led by Prime Minister Lord North, controlled parliament from 1770 to 1782 and introduced those policies that so enraged Whigs and the British Americans. The opposition Whigs (both the “old Whigs” like Edmund Burke and the more radical “new Whigs” like Charles Fox) generally opposed these policies. His Majesty with much sorrow finds he can be of no further utility to his native country, which drives him to the painful step of quitting it forever. In consequence, His Majesty resigns the Crown of Great Britain to his son and lawful successor George, Prince of Wales, whose endeavours for the prosperity of the British Empire, he hopes will prove more successful. In the end, of course, George III did not to abdicate and reigned until his death in 1820. The following description from the website of the British Monarchy glosses over George III’s anti-constitutional reassertion of royal power at the expense of parliament and attributes his violations of the constitution to lack of aplomb and a disagreeable personality. This paragraph also over-simplifies the significant divisions between Tory and Whig. In addition, the Whigs were more than merely a “leading political grouping” – they represented a broad intellectual movement and the political manifestation of classical liberalism. The first 25 years of George’s reign were politically controversial for reasons other than the conflict with America. 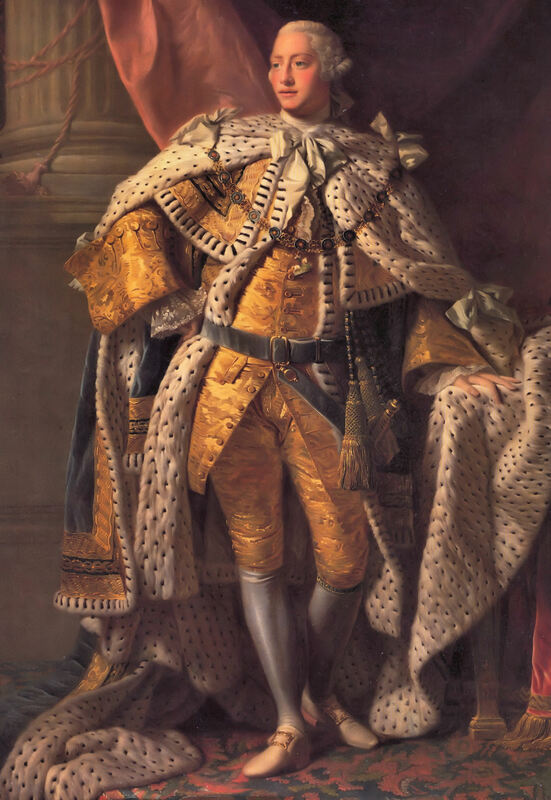 The King was accused by some critics, particularly Whigs (a leading political grouping), of attempting to reassert royal authority in an unconstitutional manner. In fact, George took a conventional view of the constitution and the powers left to the Crown after the conflicts between Crown and Parliament in the 17th century. Although he was careful not to exceed his powers, George’s limited ability and lack of subtlety in dealing with the shifting alliances within the Tory and Whig political groupings in Parliament meant that he found it difficult to bring together ministries which could enjoy the support of the House of Commons. As a Whiggish classical liberal, I agree with the classical liberal Hobbesian-Lockean view that the Crown is subject to a social contract; my support of the Crown thus depends upon its fulfilling its constitutional duties properly and upholding its responsibility within that social contract. If the Crown ever abolished responsible government, then it would no longer secure liberty but revert to tyranny, and I would no longer support it. This portion of my argument and historical interpretation may offend some Tories, but in so doing, I hope that it will also clarify the crucial differences between these historical political parties. Historically, where the Tories supported the Crown on royalist principle (sometimes even as far as the Stuart view on the divine right of kings), Whigs supported the Crown out of political practicality; the Crown upholds liberty and the rule of law and maintains civil order when a constitution restrains the power of the King relative to Parliament. By the 1770s, Parliament and the Crown had denied the American colonists their constitutional rights as free-born Englishmen and the constitutional legacy of the Glorious Revolution and English Bill of Rights. Influenced by the constitutional settlement after 1688 and 18th century Whiggism, many of the colonists rebelled. Prominent Whigs such as Edmund Burke and Charles Fox supported the American colonists because they understood this principle. 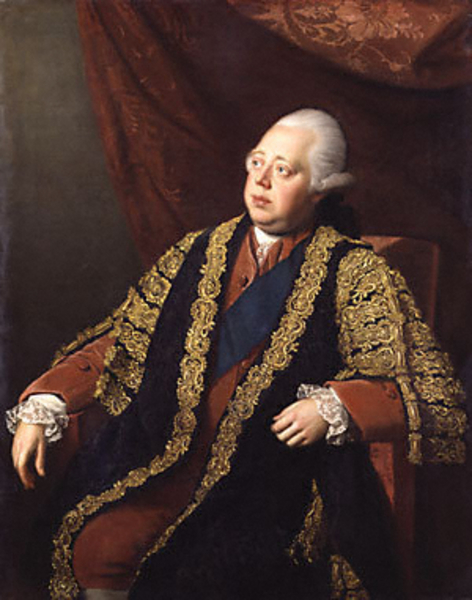 In contrast, the staunch Tory Lord North, who held office of Prime Minister from 1770 to 1782, vigorously defended George III and supported the legislation like the Stamp Act that so enraged the American colonists. Many American colonists chose to remain loyal, despite the Crown’s and Parliament’s failure to secure their liberty. These fundamental philosophical conflicts show that the American Revolution was another English Civil War; where the civil war of the previous century saw the battle between Royalists and Parliamentarians, its equivalent in the 18th century involved Tories and Whigs – both within the American Colonies and between the American colonies and the United Kingdom. In the same documentary, David Starkey said of Jefferson and the Declaration of Independence: “The Declaration embodies Jefferson’s belief in the Whig idea that all government depends upon a social contract freely entered into by the people.” Before drafting the Declaration, Thomas Jefferson wrote “A Summary View of the Rights of British America.” The fact that Thomas Jefferson defined the American colonists as “British Americans” lends credence to my argument of American Revolution as civil war and demonstrates that the familiar resolutely independent American identity did not fully develop until well into the 19th century. Charles Fox and other English parliamentarian Whig supporters of the American colonists even took to the habit of wearing the “buff and blue” of Washington’s army in the House of Commons. Toward the end of the war in 1780, another prominent Whig named John Dunning moved a motion in the House of Commons that passed by a slim margin: “The influence of the Crown has increased, is increasing, and ought to be diminished.” So despite the assertions of the official website of the British monarchy, Parliament – the sovereign political body – concluded that George III had overstepped his bounds. This next passage unintentionally provides evidence to support the Whig argument that George III did in fact usurp the British constitution through a reassertion of royal power. In effect, George III dismissed his most capable prime minister, William Pitt the Younger, because the latter believed that Catholics should gain the right to vote and full political enfranchisement. [George III’s] problem was solved first by the long-lasting ministry of Lord North (1770-82) and then, from 1783, by Pitt the Younger, whose ministry lasted until 1801. His political influence could be decisive. In 1801, he forced Pitt the Younger to resign when the two men disagreed about whether Roman Catholics should have full civil rights. George III, because of his coronation oath to maintain the rights and privileges of the Church of England, was against the proposed measure. This compartative view of our former territories in America is not stated with any idea of lessening the consequence of a future friendship and connection with them; on the contrary, it is to be hoped we shall reap more advantages from their trade as friends than ever we could derive from them as Colonies; for there is reason to suppose we actually gained more by them while in actual rebellion, and the common open connection cut off, than when they were in obedience to the Crown.